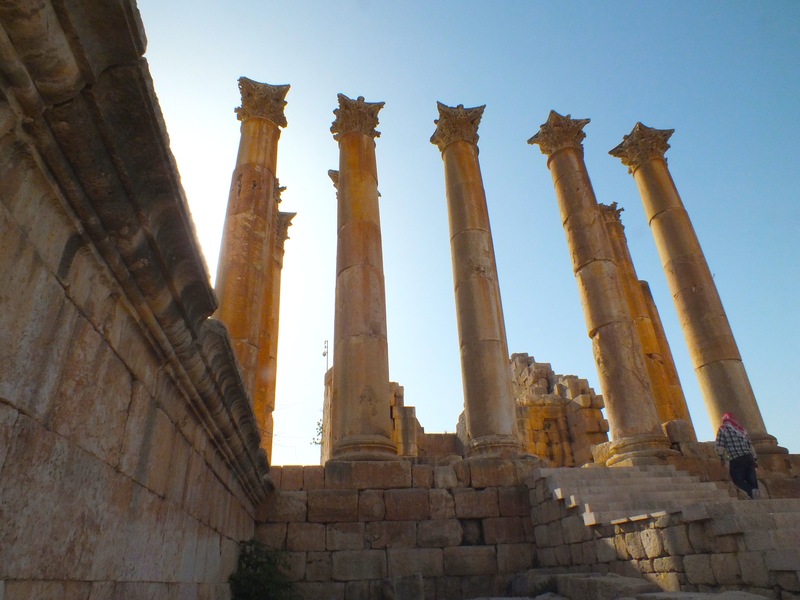 It was the height of the crusades in the 12th century AD and the Atabeg (Saracen ruler) of Damascus spotted a building that was ideal to convert into a fortress – the remains of a Roman temple to the goddess Artemis in the long deserted city of Jerash. It had been one of the ten cities in the Decapolis during the Roman empire and hugely wealthy. But the decline of the empire and a series of earthquakes left just some beautiful ruins, which are still there today. During the Roman period, the temple of Artemis had dominated a city compared to Antioch in grandeur. It was completed in AD150 and opulently decorated. However, the decision by the emperor Constantine to convert to Christianity followed by the emperor Theodosius demanding everybody adopt the new faith – saw the temple gradually stripped of its adornments and marble. There are remains of two kilns from the Theodosian era (late 4th century AD) that were set up on the steps of the temple to break down its building materials. 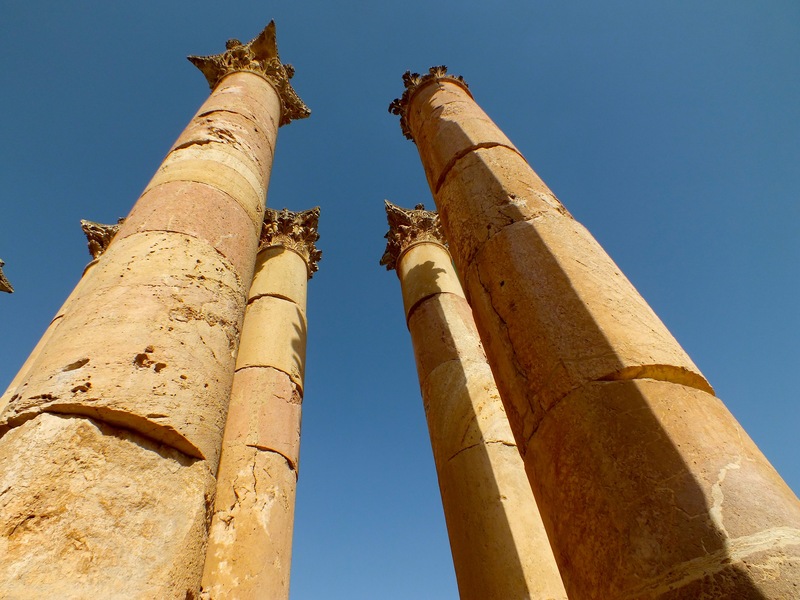 These were then used for new Christian churches in Jerash. However, rejecting the pagan Gods for Christ did not favour Jerash. It succumbed to earthquakes and economic decline and by the time of the crusades, it had become a ruin ruled over by the Muslim caliphate. The Atabeg of Damascus converted the temple of Artemis into a fortress but it was then stormed by the crusader king of Jerusalem Baldwin II who burnt it down. Underneath the temple, there are still very dark rooms under the main platform which I was allowed to go and see. Bit too dark to film in I’m afraid. My guide informed me (and challenge him if you know better) that the Templars and crusaders stored wealth in what was a very secure place. Anyway – here are some photos and a video! ← Me in Petra last week – more on Petra to come!